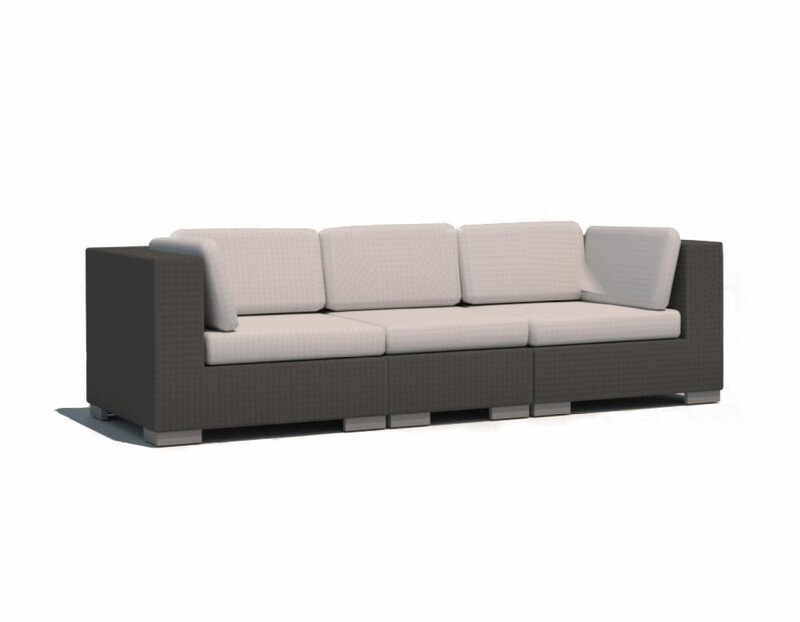 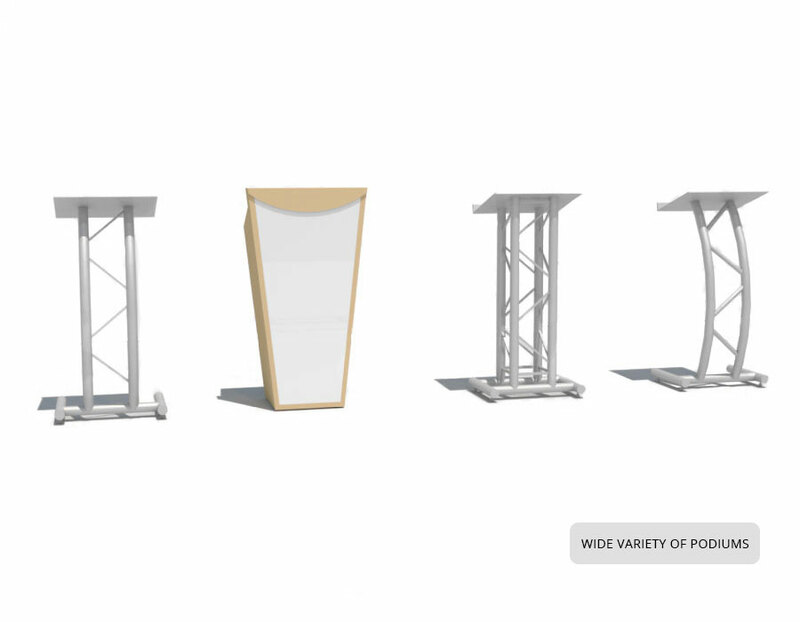 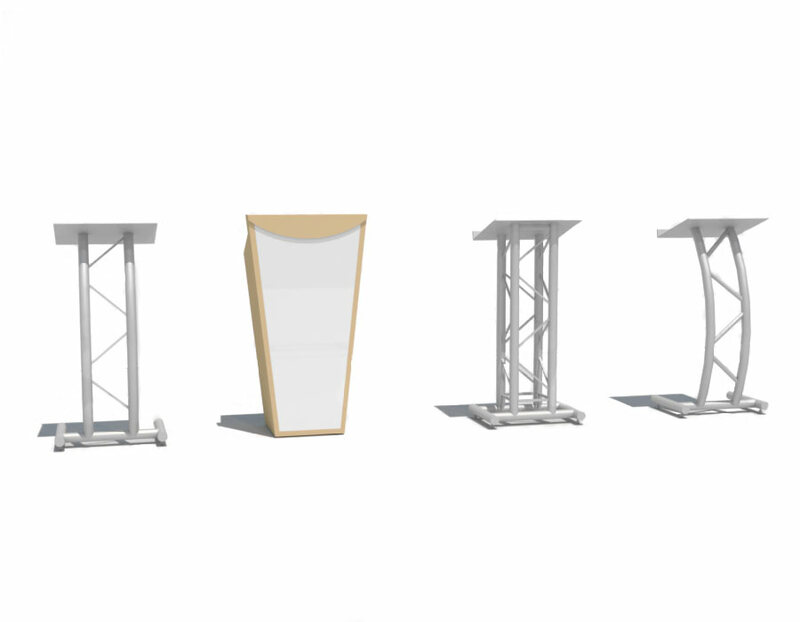 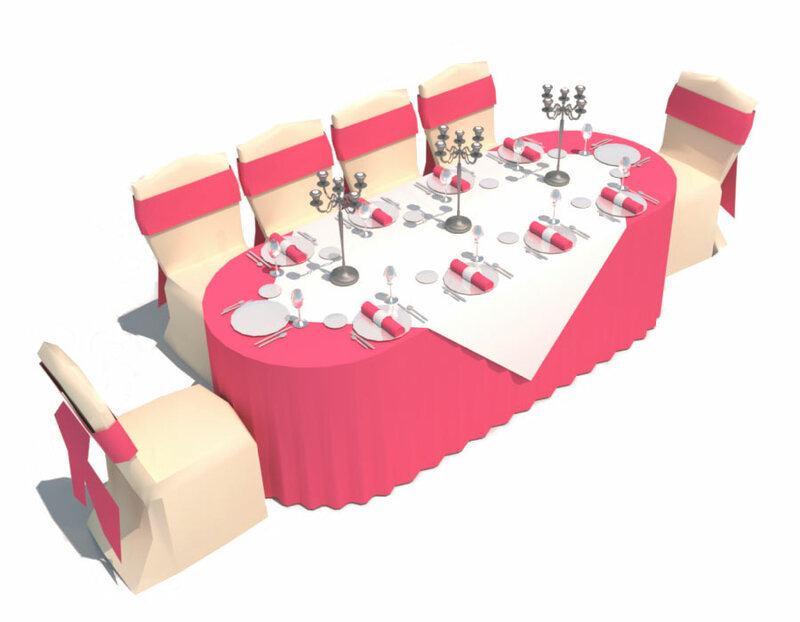 Vivien in its core, is a simplified CAD software with many custom features developed specifically to aid the 2D and 3D event design process. 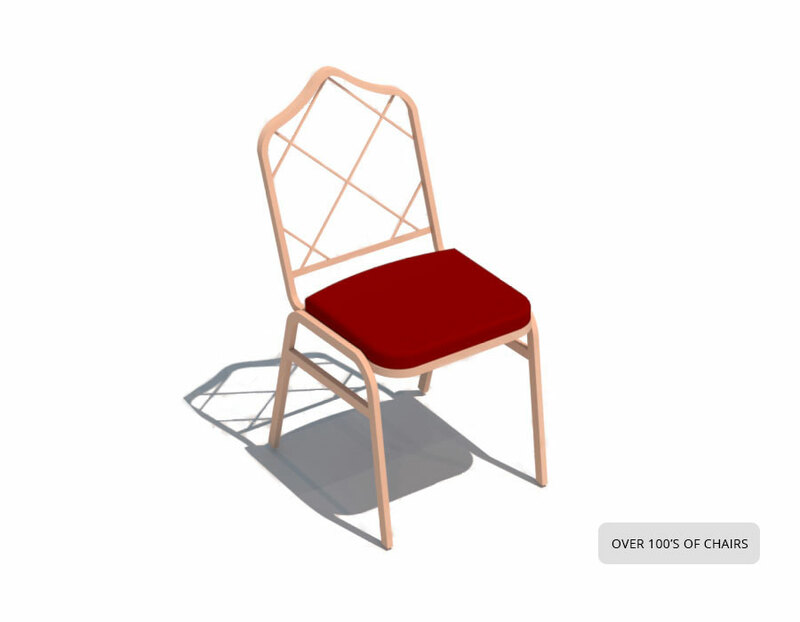 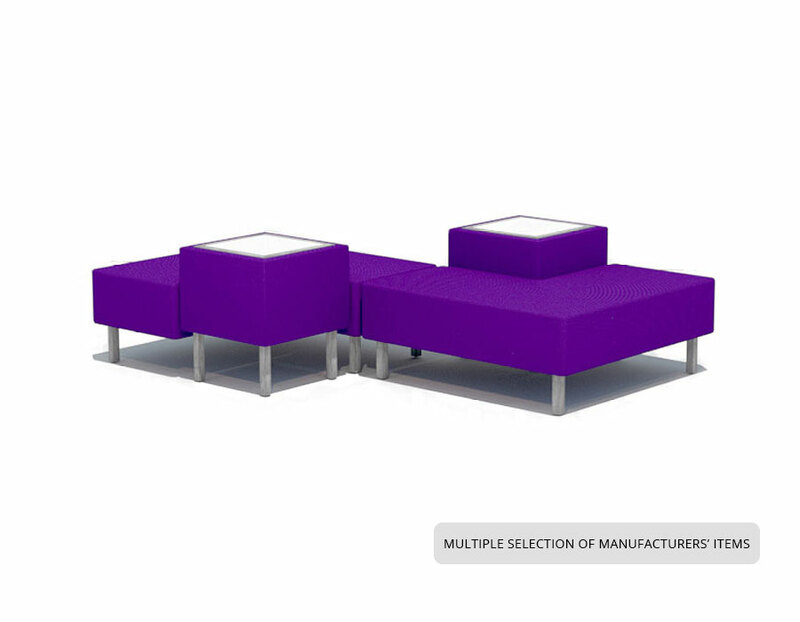 Vivien has over 10,000 library items available to drag and drop into your design project. 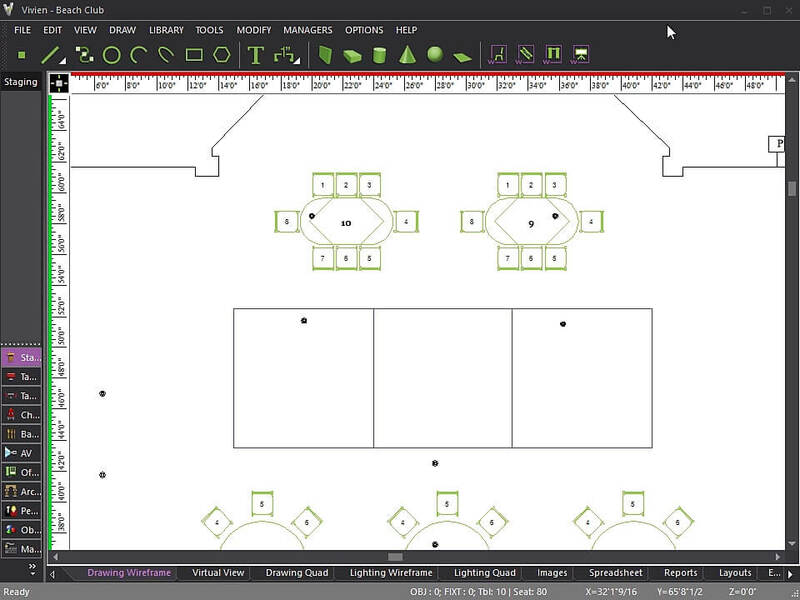 Vivien’s drawing tools create scaled event diagrams and floorplans. 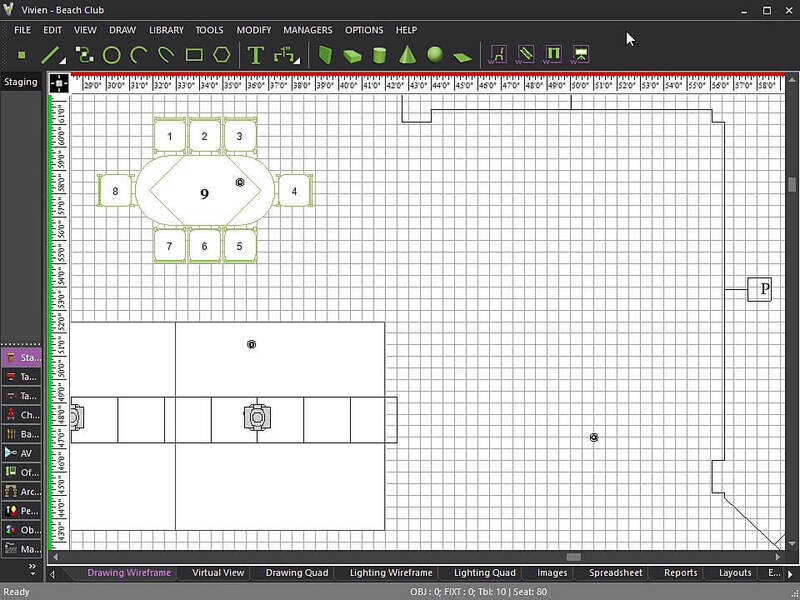 Simply drag and drop furniture and equipment objects into your 2D plot. 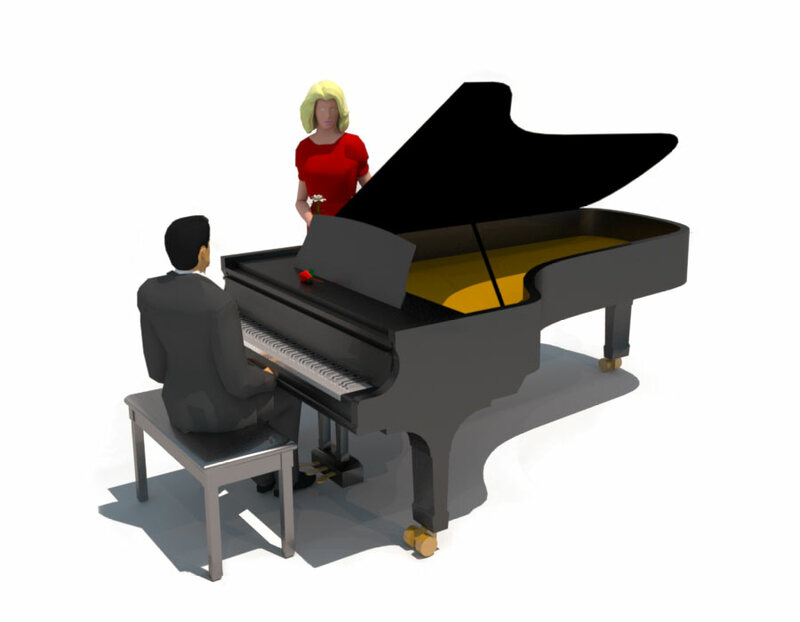 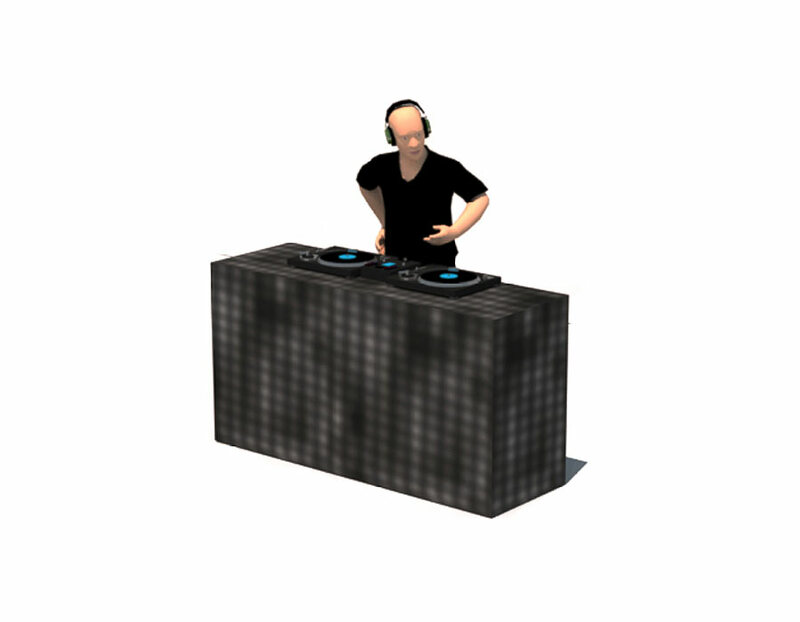 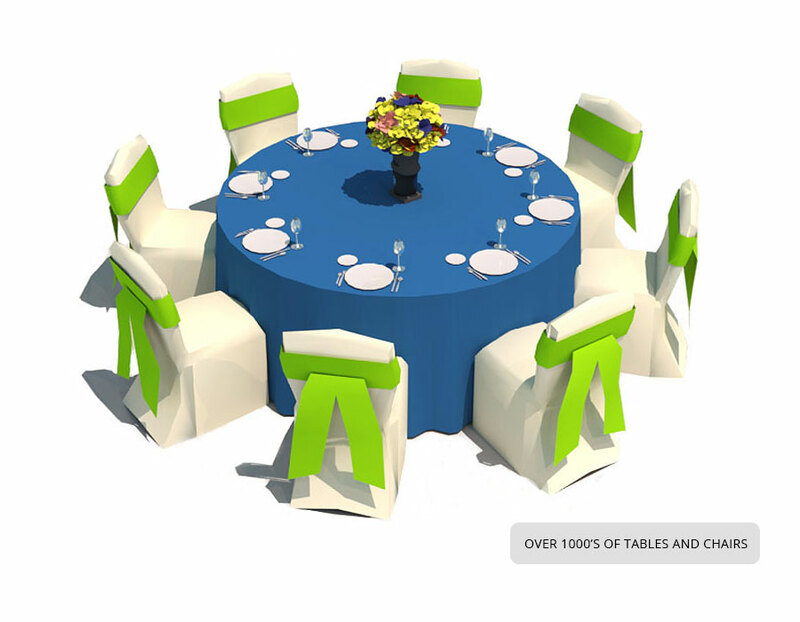 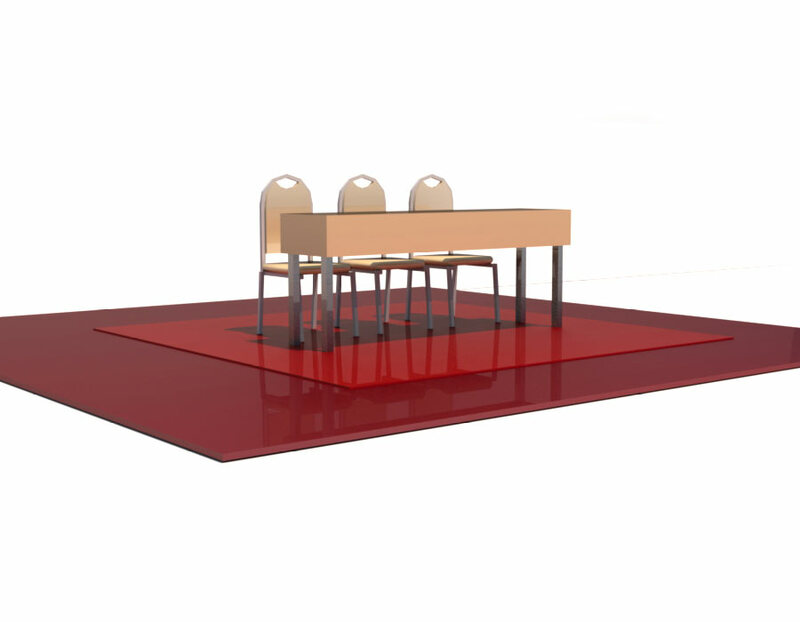 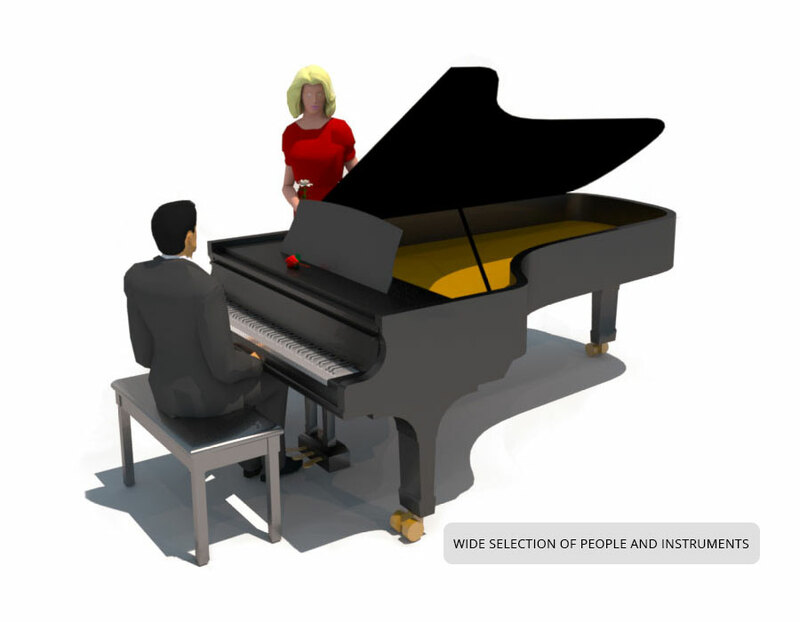 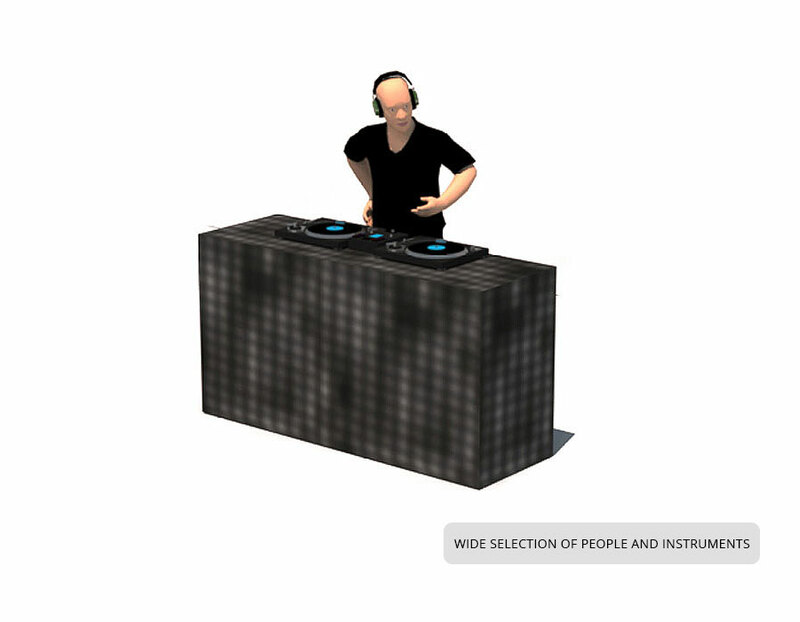 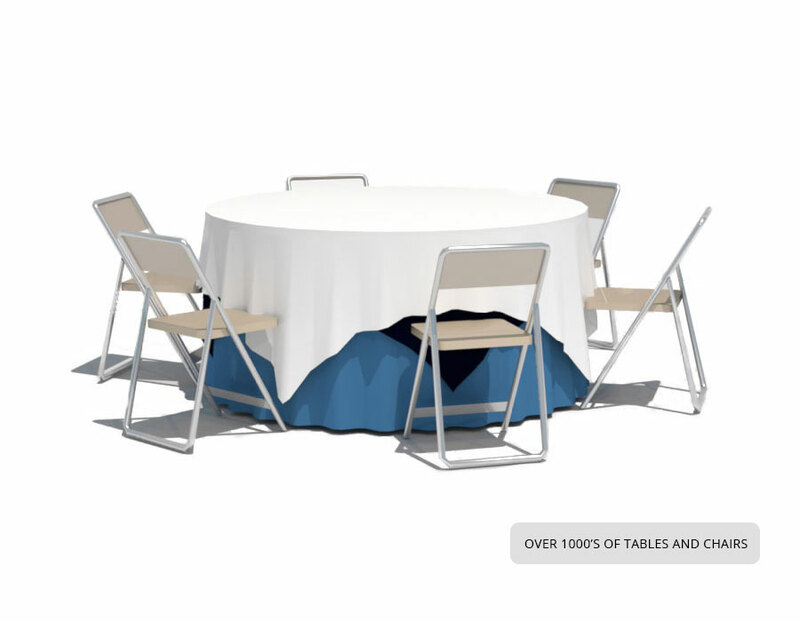 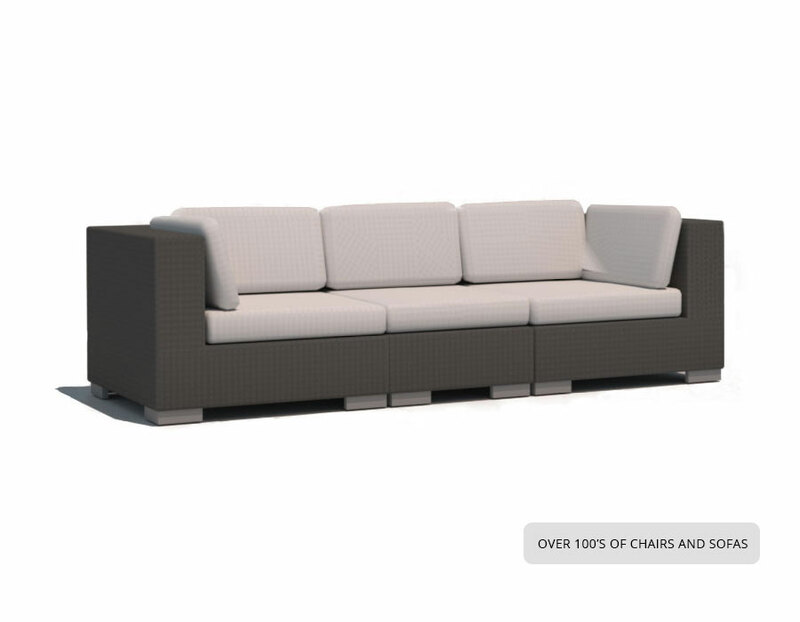 Click and see 3D virtual views of your event. 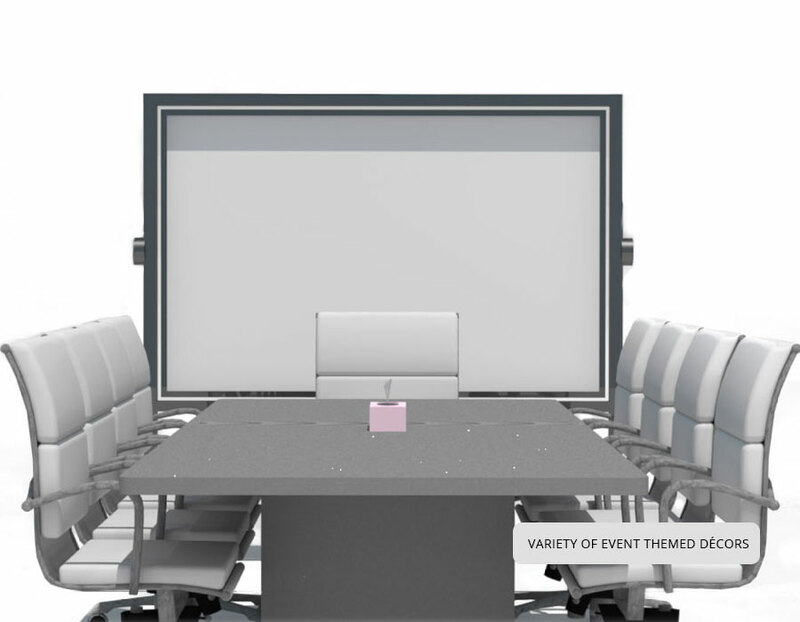 Change plans on the fly and see how it affects your event’s look and feel. 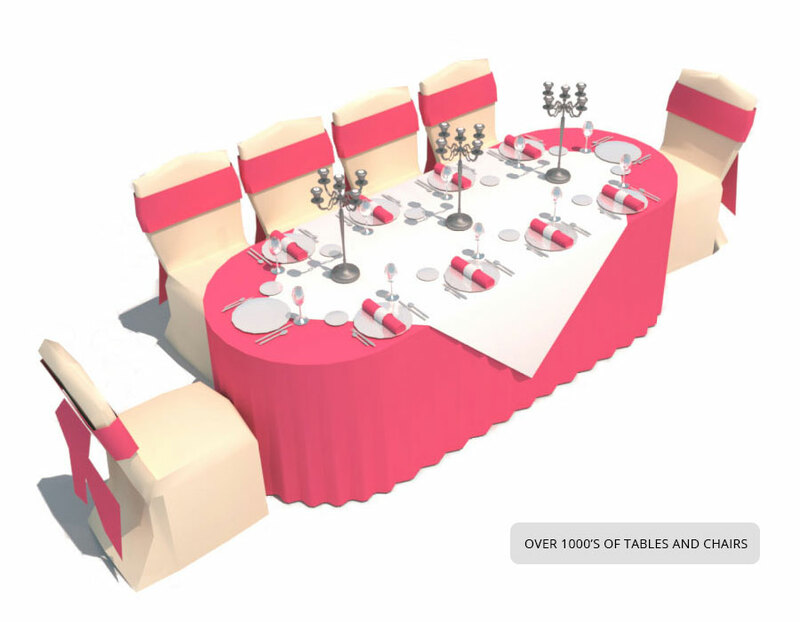 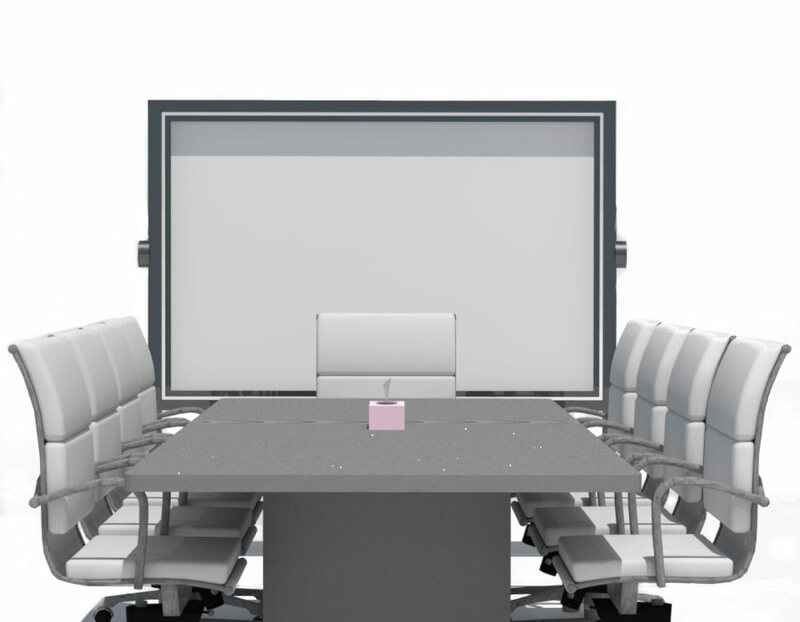 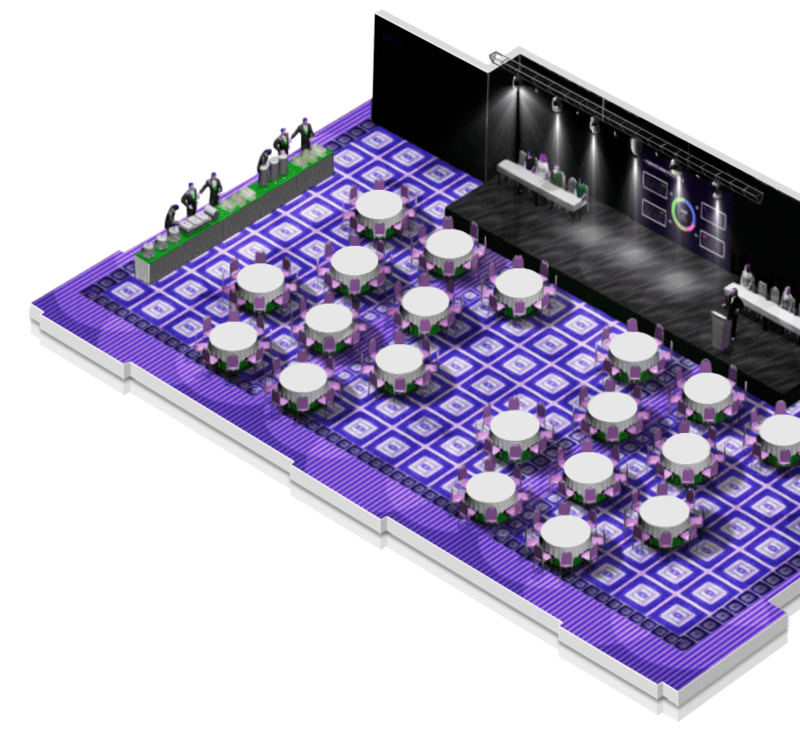 Easily switch from 2D to 3D virtual views of your event! 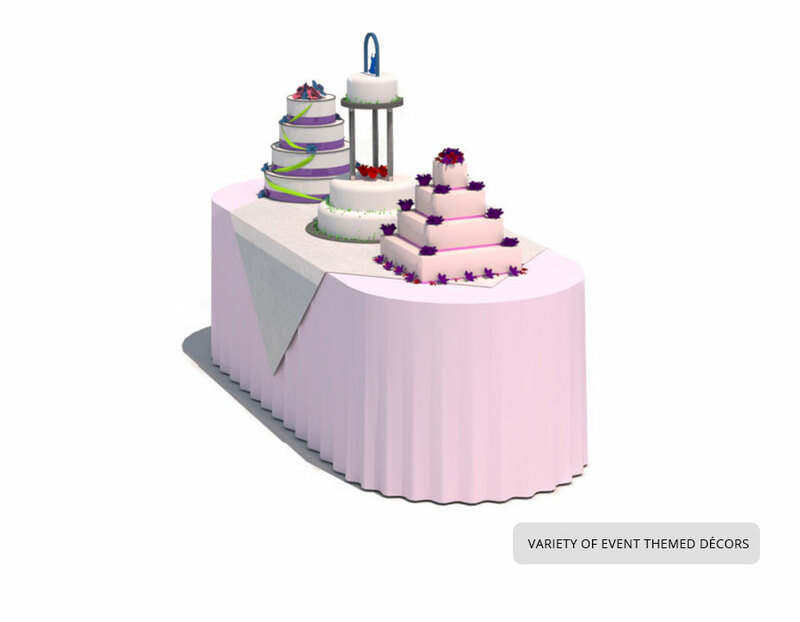 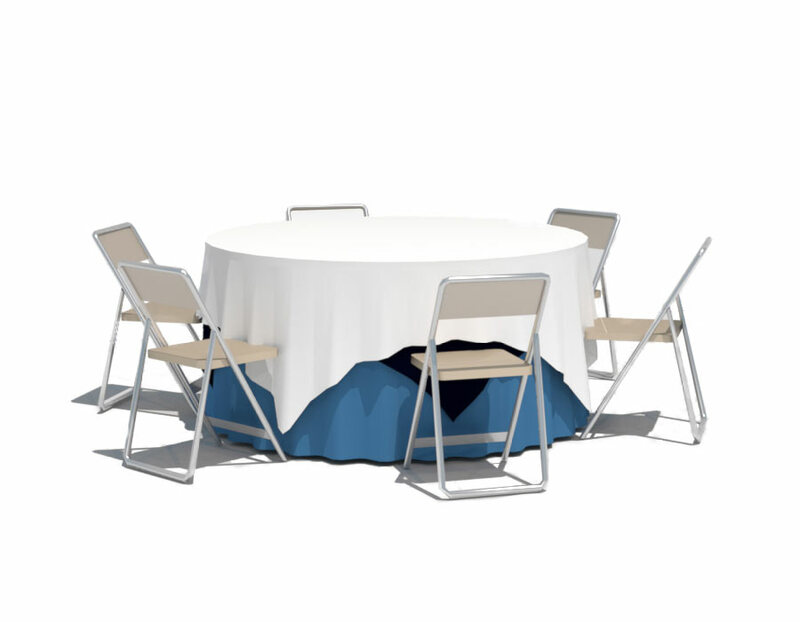 Change plans on the fly, update the design and see how it affects your event’s look and feel. 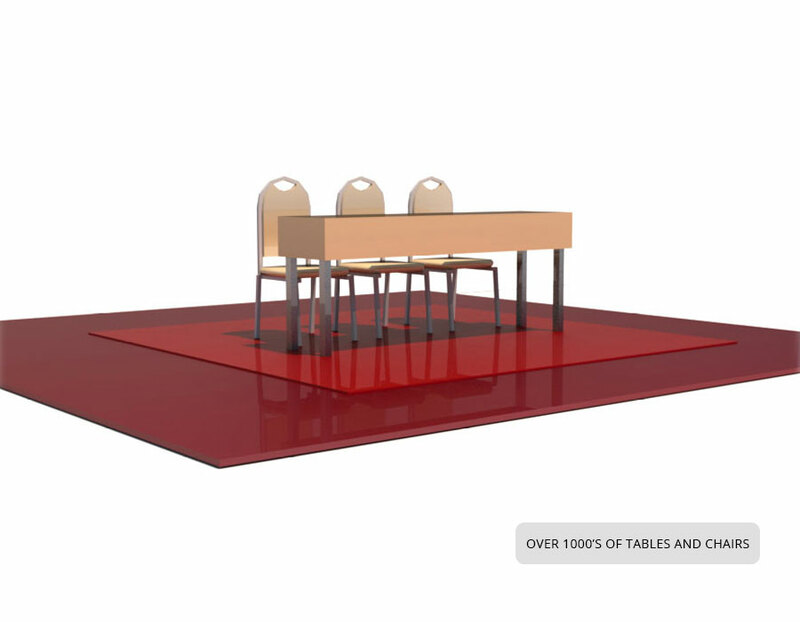 Vivien’s robust library is filled with realistic 3D objects designed with scaled accuracy based on industry standards. 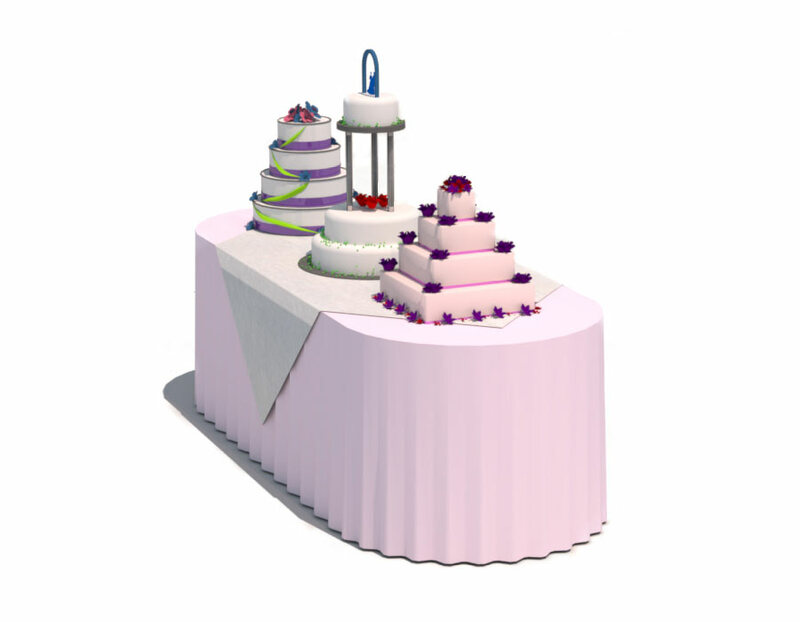 Vivien’s robust library is filled with realistic 3D objects designed with scaled accuracy based on industry standards.companies. 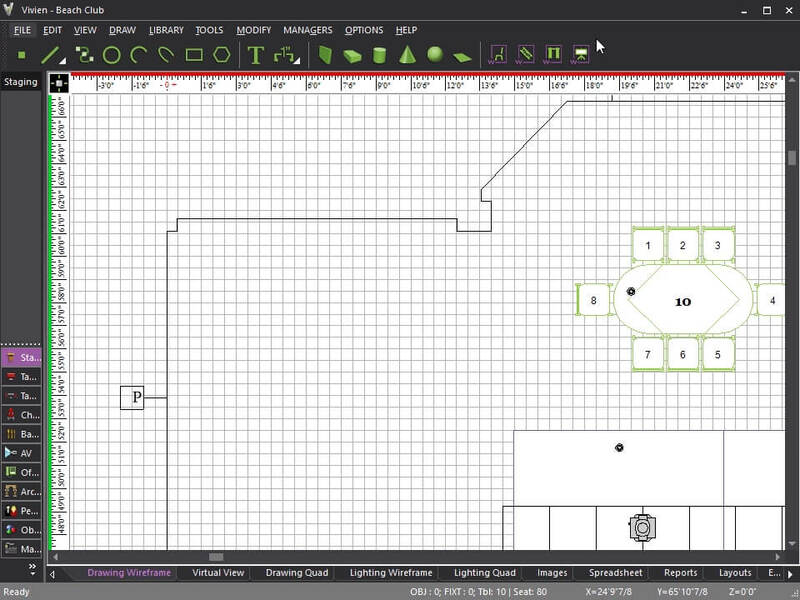 Vivien’s wizard tools allow you to create floorplans in a matter of seconds. 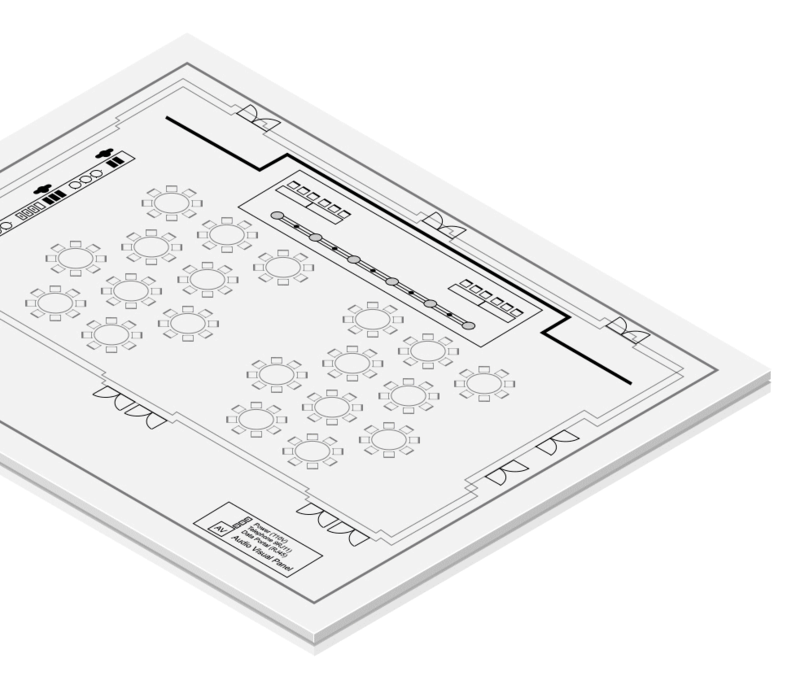 Export them to professional report templates and add style or flare to customize your proposal. 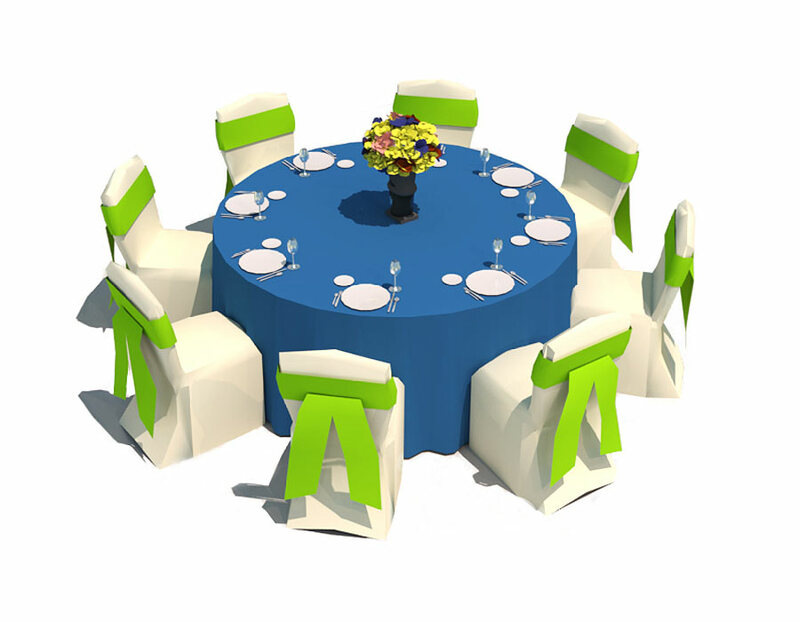 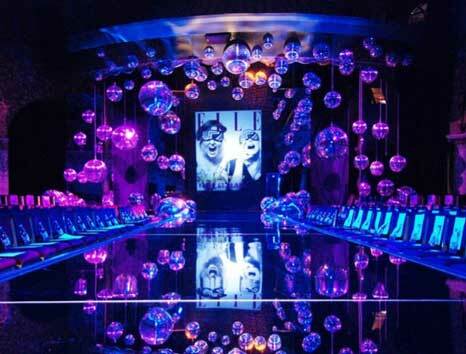 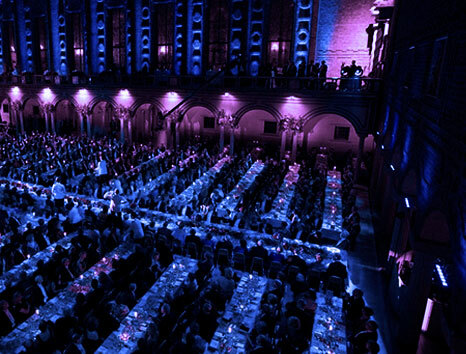 Vivien is a powerful software choice for AV companies and event designers to design a variety of customized events. 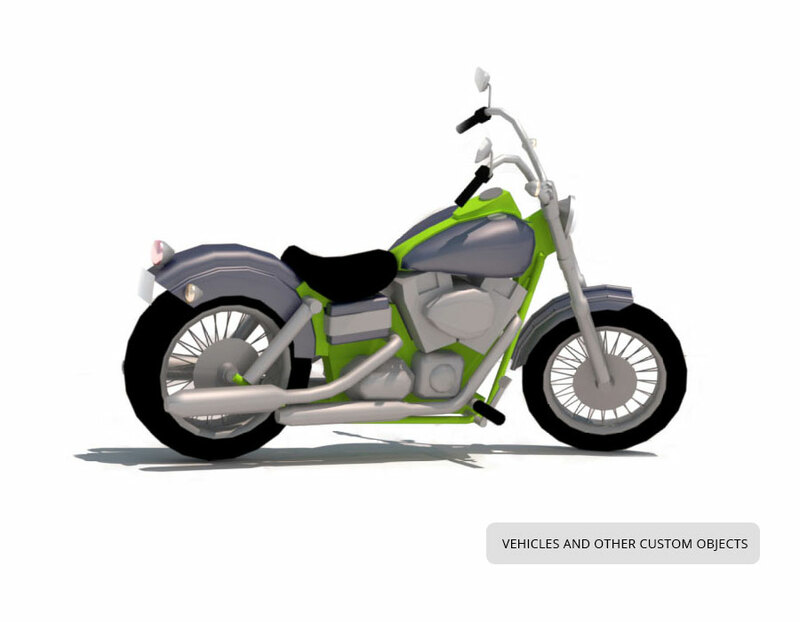 The Vivien demo offers access to all of Vivien’s features, except the ability to save, print, render or export your file to another format. 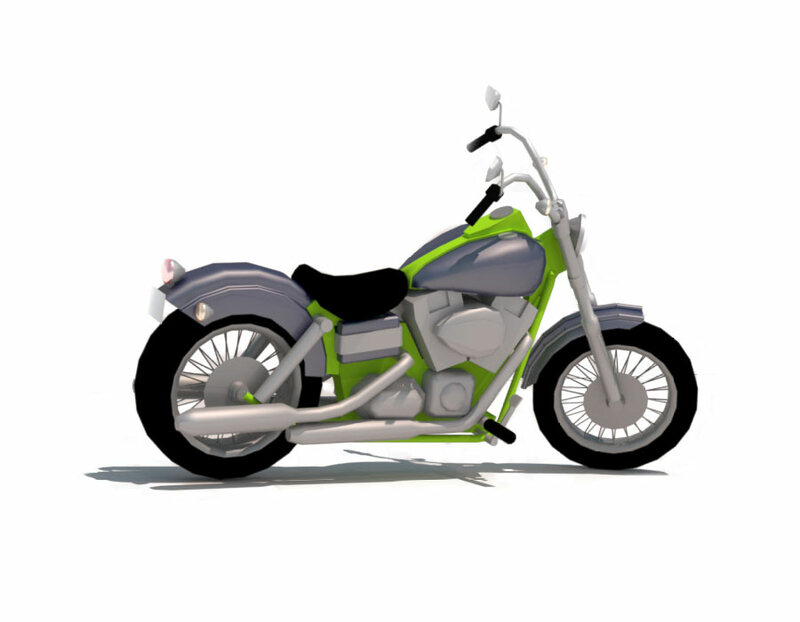 Vivien can be purchased (permanent license) or Leased (temporary license). 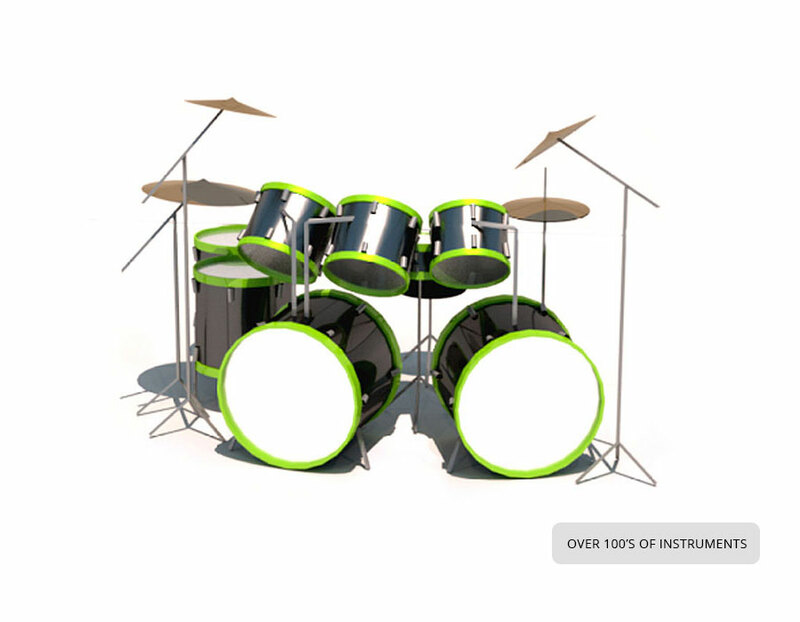 Check all prices on CAST Store.